← VMware Certified Professional 5!! 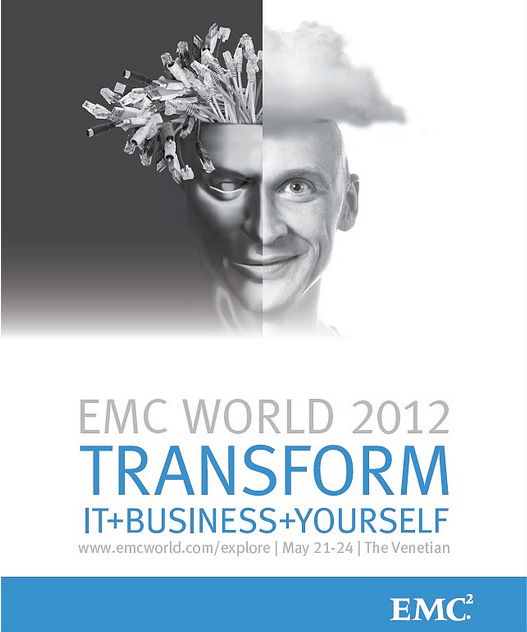 EMCWorld 2012 was my first EMC conference and I have to say that I was impressed with the schedule and offerings that EMC provided to nearly 15,000 participants. The conference was at the Venetian Hotel in Las Vegas, NV and no expense was spared. The Week started with a welcome party Sunday night which included food, drinks, and time to talk with anyone and everyone. Monday was a full day of sessions, starting with breakfast, a few sessions in the morning and then the keynote speech, headlined by Joe Tucci, that featured a presentation screen the length of a football field! 20 Projectors were used to synchronize the presentation! The rest of the week was filled full of sessions and visits to the Pavillion where you could discuss products and technical ideas with hundreds of vendors. The rest of the Pavillion contained Hands-On labs and a wide area with bean bag chairs to relax and watch sessions on a projection screen. The headline entertainment for the week was by Maroon 5 Wednesday night. This show was great in my opinion, althogh a bit short. All the hits were played and a good time was had by all! If you get a chance to make it to one of the conferences (Next year is again in Las Vegas May 6-9), I would suggest going and interacting within the sessions to get the most out of the conference.